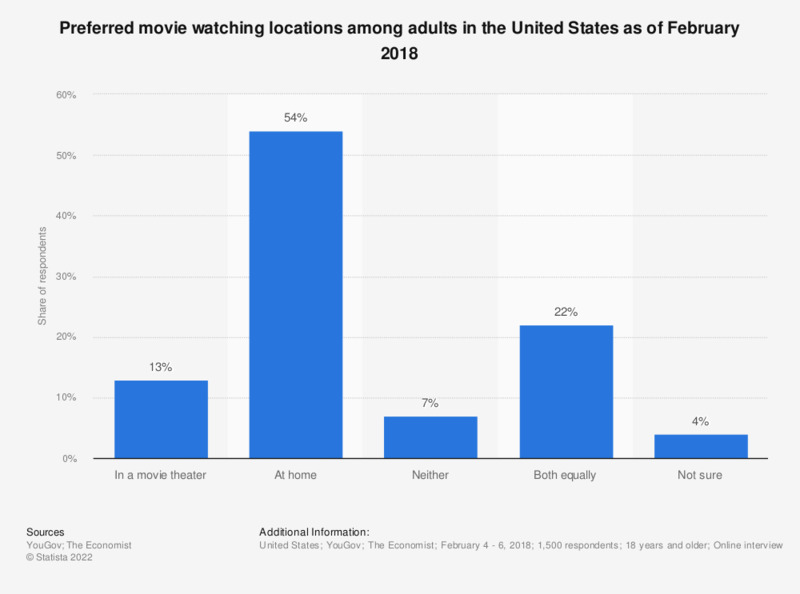 The statistic presents data on the preferred place to watch movies among American adults as of February 2018. During a survey, 54 percent of respondents stated they preferred watching movies at home than going out to a movie theater. Everything On "Home video market in the U.S." in One Document: Edited and Divided into Handy Chapters. Including Detailed References. Are you planning within now and a year to purchase an electric car?